2-Piece Soft Doors are the most versatile Bronco doors on the market - functioning as full doors to protect you from the elements or as half doors for open-air driving. Doors are fully adjustable and a great complement to your Bestop soft top. 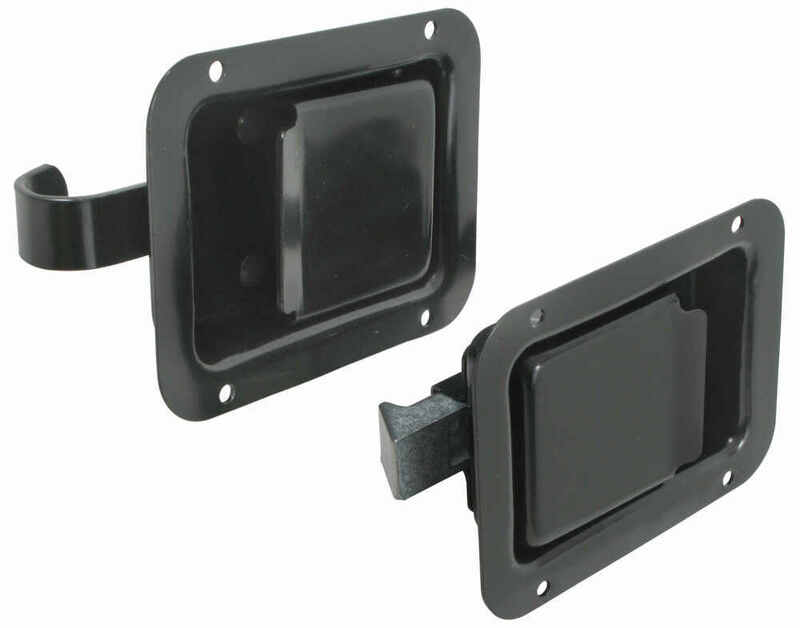 Fastest Shipping and Guaranteed Lowest Prices for Bestop 2-Piece Soft Doors for Ford Bronco 1966-1977 - Black. 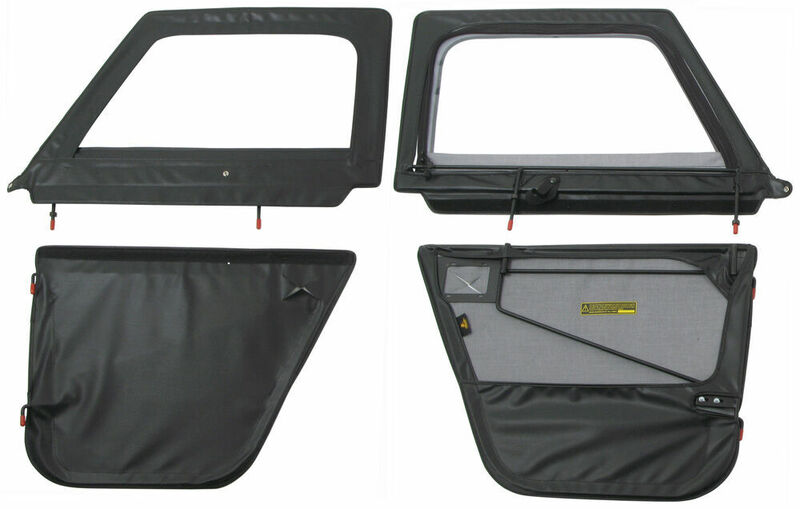 Read our customer reviews of Bestop jeep doors. 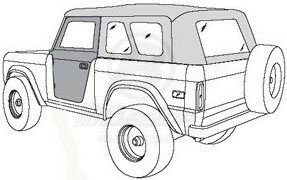 Call 800-298-8924 for expert service or order your jeep doors part number B5177201 by Bestop online at etrailer.com. 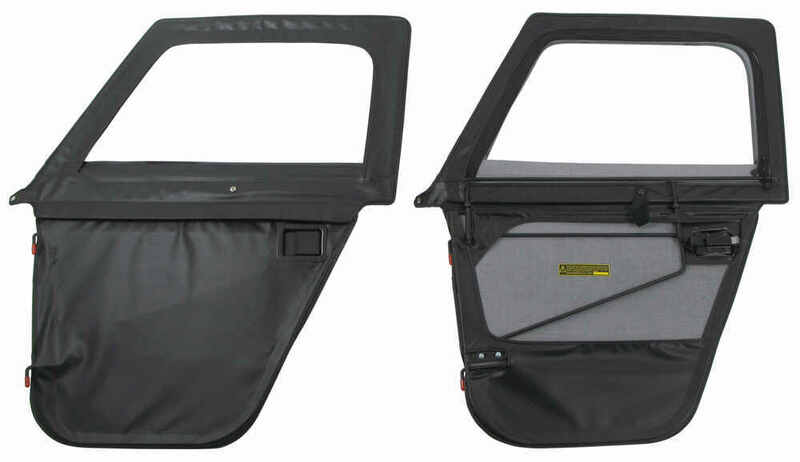 2-Piece Soft Doors are the most versatile Bronco doors on the market - functioning as full doors to protect you from the elements or as half doors for open-air driving. Doors are fully adjustable and a great complement to your Bestop soft top. The Bestop 2-Piece Soft Door is the most versatile option on the market for Ford Bronco owners, transforming from a full door with complete enclosure to a lower half door that allows open-air driving. Note: Filler panel to seal gap in soft door not included. 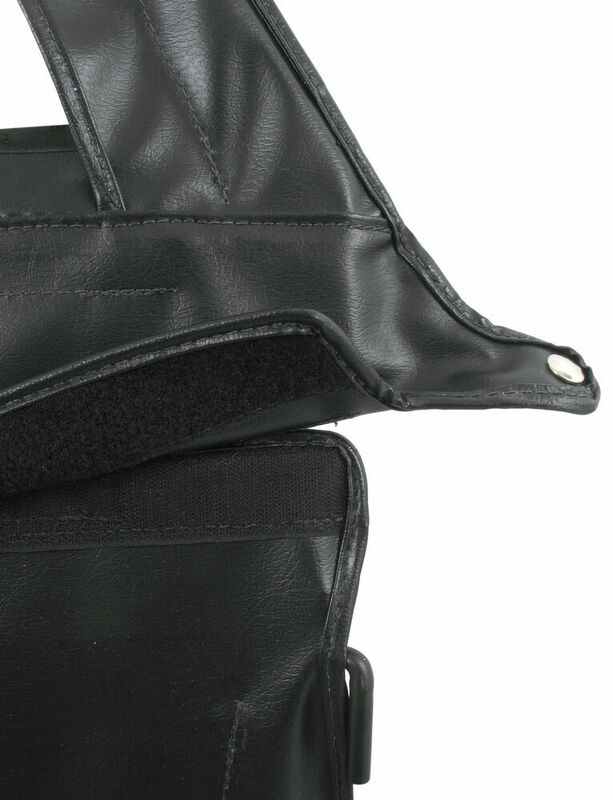 The Upper Soft Door attaches to the lower door with door pins that include collars for an accurate fit. Lower door pivot pins offer further adjustment options for finding the perfect fit, and hook and loop strip fastens the Upper Soft Door to the lower half door. Double-bulb weather stripping surrounds door for complete protection from the elements. 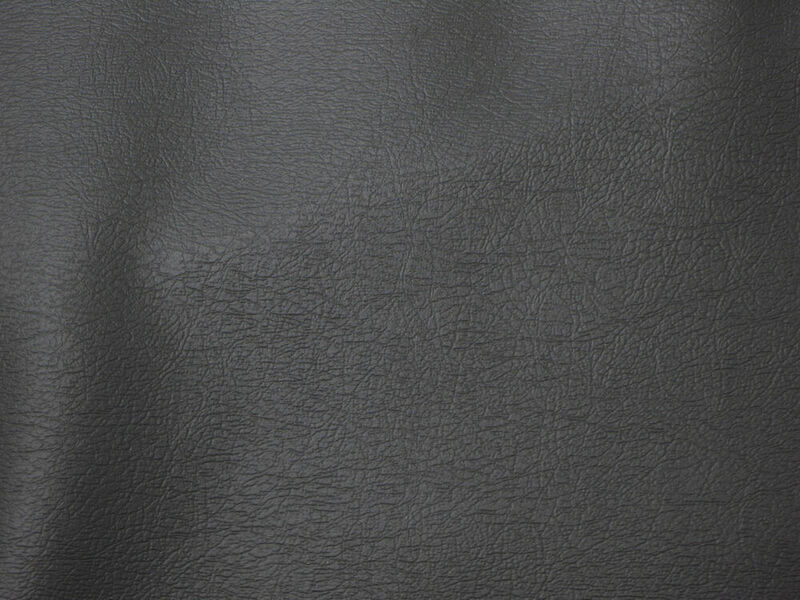 Bestop 2-Piece Soft Doors are designed to match the color of Bestop soft tops and factory-original tops. Doors are compatible with Bestop Supertop soft tops. 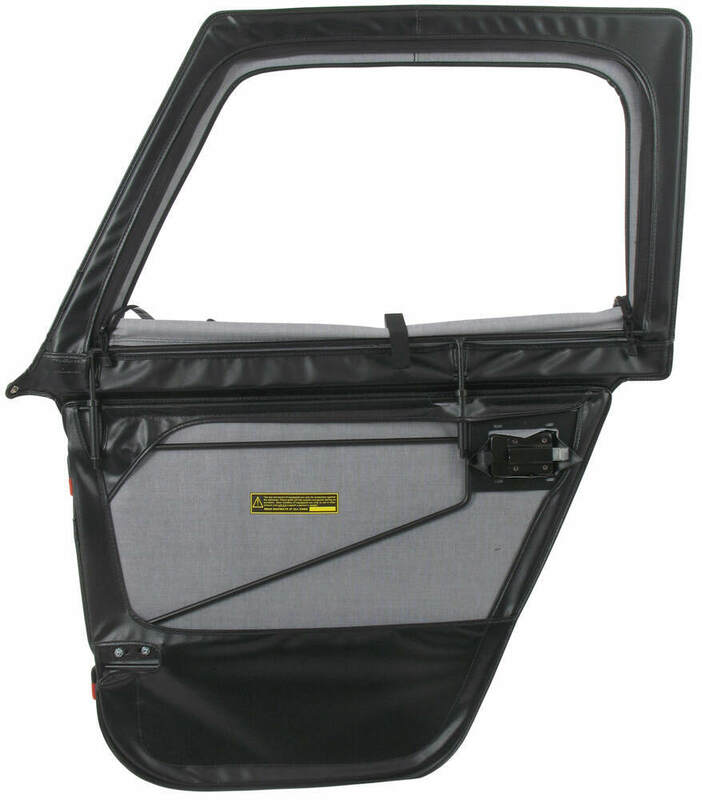 Order: RelevanceNewestRating - High to LowRating - Low to High 2-Piece Soft Doors are the most versatile Bronco doors on the market - functioning as full doors to protect you from the elements or as half doors for open-air driving. 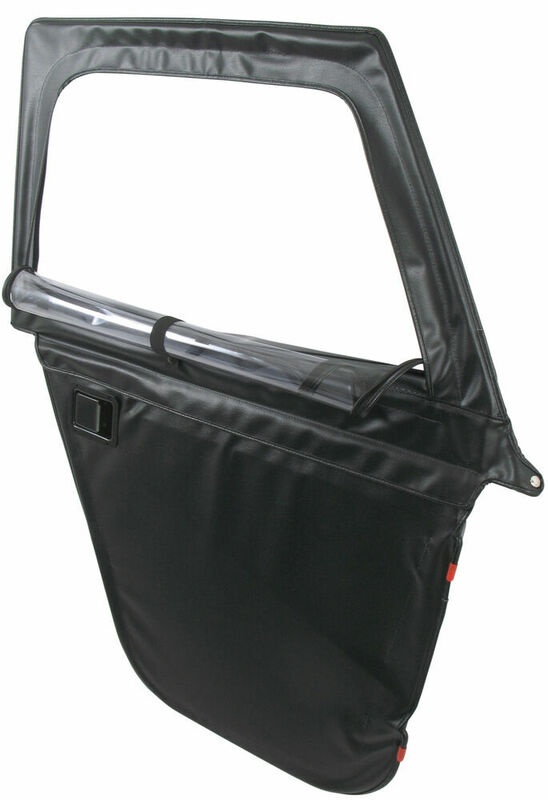 Doors are fully adjustable and a great complement to your Bestop soft top. The doors are intended to replace the factory doors on the 1966 to 1977 Ford Broncos. From my research and after confirming with Bestop the fiberglass door inserts are an aftermarket application. Bestop cannot confirm that these doors would fit with the aftermarket inserts. Due to needing the correct spacing for installation and proper function. Do you have a question about this Jeep Door? I spoke with my contact at Bestop and for the passenger side upper door of the part # B5177201 you would want # B404-52P and for the driver side you would want the # B404-51P. Highest quality jeep doors for the best price. Most detailed, accurate jeep door information available. Outstanding! Thank you much. We will do this again soon!